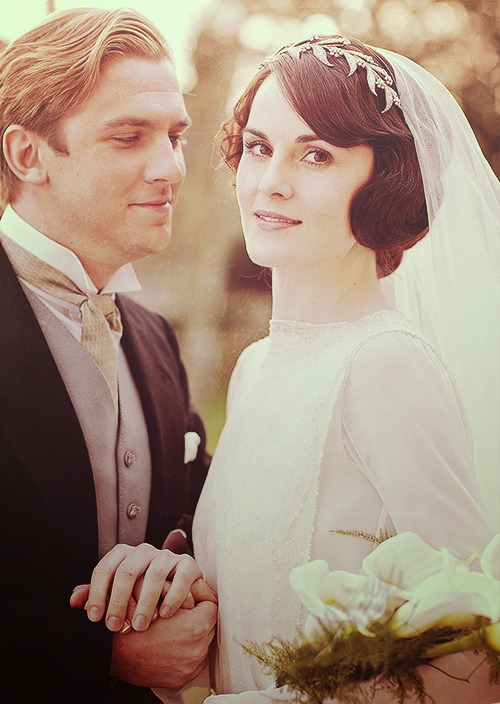 Mary & Matthew's Wedding. . Wallpaper and background images in the Downton Abbey club tagged: downton abbey downton abbey costume drama season 3 mini series mary matthew wedding. 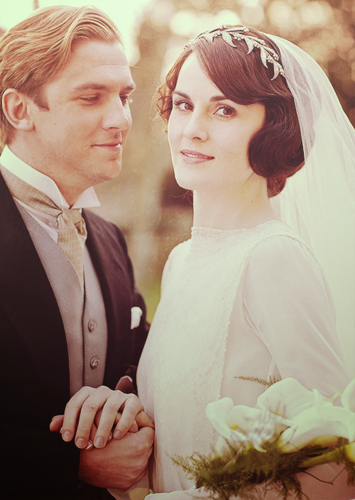 This Downton Abbey photo contains bridesmaid, maid of honor, bouquet, corsage, posy, and nosegay. There might also be business suit, dress suit, full dress, tailcoat, tail coat, tails, white tie, and white tie and tails.